But which should you choose and what are the advantages and disadvantages of either approach. This is the least hassle solution in that you won’t need to setup a new subdomain (or domain) and you can be up and running quickly. The following should be considered when deciding whether to install on the same site. Performance: Zero BS CRM maintains its data in standalone tables for contacts with other objects being run from it’s own database tables soon. This means ZBS CRM is strong performance wise. Client Portal: This takes the design of your theme – so you’ll need to manage the look and feel of this either through your theme or customising the templates provided. Sync Plugins: WooSync, which keeps your CRM up to date with your WooCommerce orders works in real-time when you have the CRM and your WooCommerce setup on the same website. No impact of other plugins: Use Zero BS CRM as the developers intend it to be used. Added security: Your team will only login to your CRM site, keeping things separate. When running a stand-alone version, you can control how the login screen looks and even choose the “CRM only” menus for WordPress (this removes your posts, pages). It’s a great option if you’re running a CRM with a team and want to keep them separate you may choose this option. You’ll need to choose your domain (either a subdomain or a fresh domain) and then setup and maintain a WordPress install on that site. This is easy to do. WooSync: This has an “external site” option where you can connect to your main site via an external CRM. The orders and customers will be kept up to date through an hourly sync check. PayPal + Stripe Sync: Both these extensions work with either setup. Gravity Forms Connector: This has external API settings so captured information can be sent. Zapier: We also have a Zapier App (invite needed) to be able to connect your standalone CRM to thousands of your other apps or services. API: We also have an API which you can programatically use to get data into your CRM. The choice is yours. Zero BS CRM works well on your main website and has been written and optimised to not slow down your main site. 99% of the CRM is back end (admin pages) which are controlled in a restricted, permissions manner. We are migrating our data over to stand-alone tables which will improve CRM performance and make same site installs hardly any different to stand alone. Going the standalone route is a good choice if you’re worried about too many plugins on your main site, or want a separate login to your CRM for you and your team to use. It’s perfectly capable of being linked to our extensions via Sync or APIs and is a solid choice that a number of users take to avoid any potential clashes. 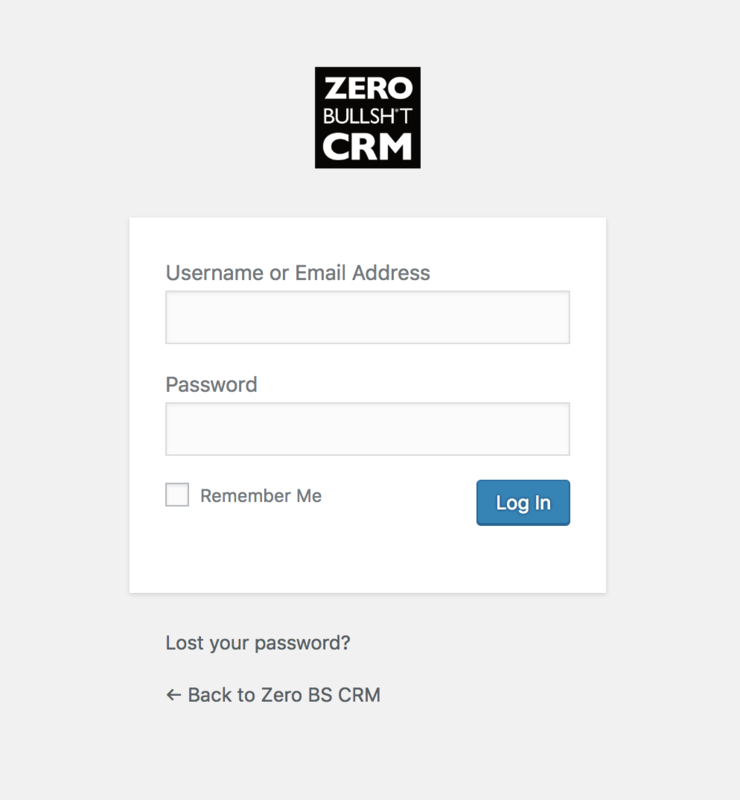 Here at Zero BS CRM we have our CRM (using Zero BS CRM) running on a separate install to the main site. This is due to the complex setup of our group of websites and we use the API to keep up to date.